By Teresa O’Dea Hein, Managing EditorMcLean, Va.–Kettler, a developer, builder and property manager, recently took home several Pillars of the Industry awards including one for Property Management Company of the Year, sponsored by Time Warner Cable, and one for Property Manager of the Year–Site for Michelle Priesner (who earned top in-house honors for property management in 2006). How does this company achieve its winning results? 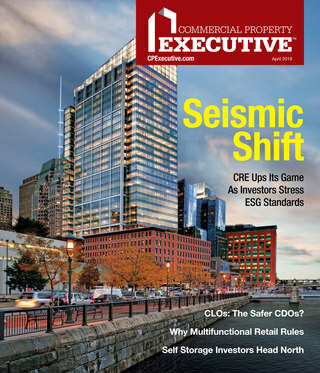 MHN spoke with both Cindy Clare, president of Kettler Management, based in McLean, Va., and Michelle Priesner, ARM, property manager at two Pentagon City, Va. high-rise communities, to get their insights into the multi-faceted and demanding world of property management.First of all, here’s some background info: Kettler manages about 11,000 units, with a little over 3,000 of those being third-party clients. All are located in Maryland, Virginia and Washington, D.C. The company employs 306 people in its management operations. Clare was recently appointed to the National Apartment Association’s (NAA) Board of Directors where she will chair the state and local issues committee, and she is past president of the Apartment and Office Building Association (AOBA) of Metropolitan Washington, a local NAA affiliate. Clare has also served on a national education committee sponsored by the Institute of Real Estate Management (IREM) and as a regional vice president at IREM. Priesner is now managing The Gramercy at Metropolitan Park in Arlington, Va. (pictured). She completed a $1.7 million renovation at one property and maintained 97 percent occupancy at both, with a combined total of 651 units and a staff of 26, all while helping to develop The Gramercy. Presently, she is also playing a major consulting role with Kettler’s development team on the new Millenium–determining target market, creating customer profiles and tracking trends in amenities. MHN (to Cindy Clare): What is the most important ingredient to Kettler’s property management success?Cindy Clare: Clearly in this business, people are the key. First and foremost, you have to invest in your people. We run a phenomenal in-house training program that addresses financial, leadership, supervisory, customer service, dealing with difficult people and Fair Housing issues, among other topics. Sometimes, training is a forgotten component but it helps us all. Training makes people feel more confident in their knowledge and abilities. In addition, this helps us move up the people we hire.Plus, we participate in a summer internship program with Virginia Tech’s property management department. The interns get to see what the property management business is really like, and they bring an excitement and passion to property management because they’ve chosen to study it. It’s also a benefit to us as we get to see who we’d like to employ. It gives us a pipeline for future employee who have studied property management. MHN: What advice would you give to other property managers? Clare: While having wonderful properties in great locations helps a lot, it’s the details, the little things, that make a big difference in resident satisfaction. For example, we put dog biscuits out in the lobbies of our high rises. And events llke Tuesday movie nights help create a sense of community. What makes residents want to renew their leases is often the service they receive, especially regarding maintenance requests.We’re very hands-on with property management and all regional property managers report directly to me. We also try to provide discounts and co-brand with local and national retailers like Zip Cars and West Elm. We accept American Express. VIPdesk enables Kettler to bring exclusive benefits and services to our residents. MHN (to Priesner): What do you like most about property management?Michelle Priesner: It’s a happy medium between paperwork and people. And you never know from day to day what will happen.MHN: What advice would you give to other property managers?Priesner: My advice would be to embrace your team, teach them how to make decisions on their own, educate them on how to be leaders and let them grow. I want everyone who works with me to be strong. I also think it’s important to communicate and let everyone know where they stand. We have weekly team meetings where we get everything out on the table. We also conduct development training sessions on everything from budgeting to phone etiquette. I believe in cross-training my employees and developing people.Plus, we do a job swap so different departments can see what others actually do. People are usually kind of shocked when that’s over and have a different appreciation for what others do. They then have a different understanding of where they fit in the puzzle. I love to promote from within and everybody sees that and wants to grow.MHN: What has been one of your biggest property management challenges?Priesner: Keeping the night team incorporated with the daytime staff on our 24-hour front desk.MHN: What’s an example of a management issue you were most proud of solving?Priesner: Parking tags. Now we swap out our parking tag system every year to make sure that people are not using copied or stolen parking tags. We also charge money for a lost tag. We have a lot of third-party renters so in the past, tags had been shared with unauthorized users.MHN: What are some resident activities that you run at your communities?Priesner: We’ve done “Met Movie Night Premieres” on a Tuesday or Wednesday, game nights during the winter, breakfast on the go, pizza parties and “Yappy Hours” for dogs and their owners.How does your property management company achieve top-notch performance? 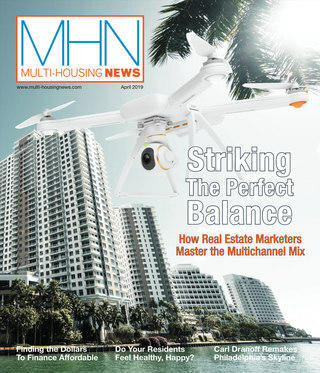 E-mail MHN Managing Editor Teresa Hein at: thein@multi-housingnews.com.